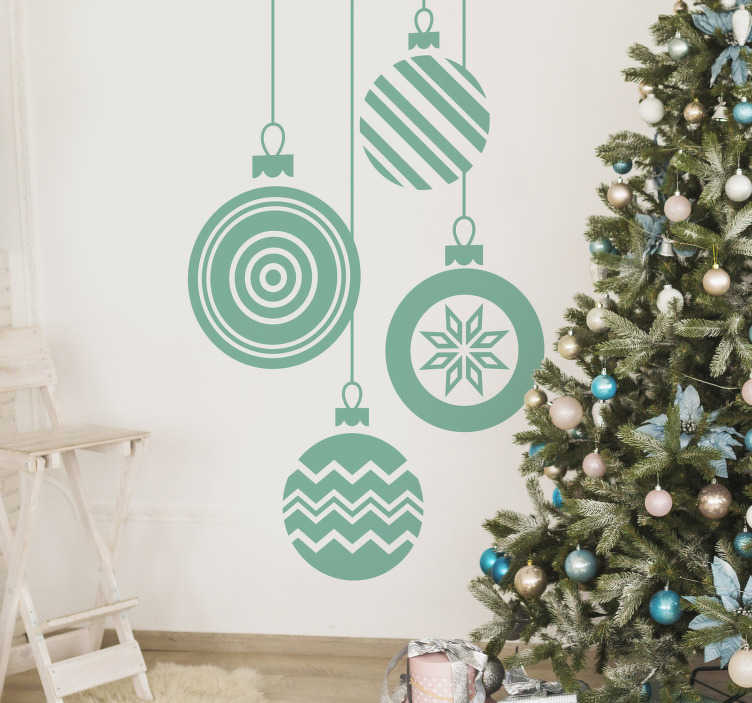 Christmas wall stickers - Celebrate the most wonderful time of the year with this Christmas bauble decal. The sticker features 4 Christmas baubles all with different patterns. The sticker comes in up to 50 colours and is available in various sizes. Give your home some Christmas cheer and purchase this Christmas decal today.